Open every day from 10-5 except Wednesdays, when we are closed. Why choose Muddy Paws Bath House? 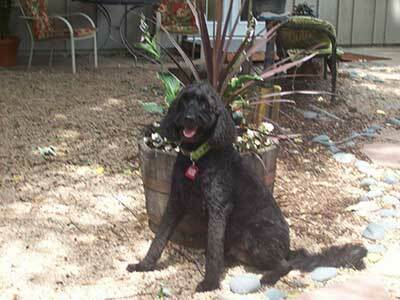 Muddy Paws Bath House provides a convenient, affordable and pleasant place to wash pets. 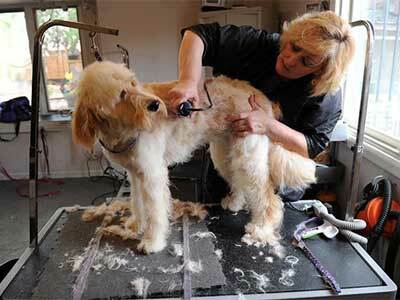 You can either hand-wash your dog or ask a professional groomer to do it for you. We also have people who will assist you. All our tubs have ramps to assist dogs in out of the tubs. 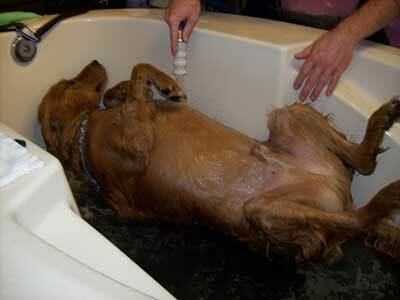 In addition we have a walk-in tub on the floor for large or older dogs. We also have an outside room where you can blow out your dog and leave the fur on the floor. 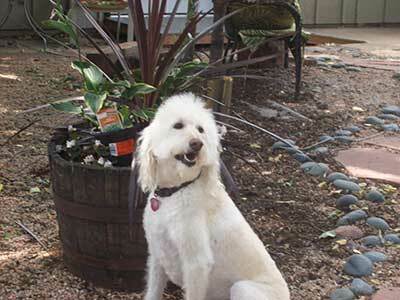 Our large back yard provides clients an area to walk their pets prior to washing or grooming, or clients can sit outside and relax. We have raised circular tubs with easy access ramps and a low walk-in tub for extra large dogs or dogs that have difficulty walking up ramps. 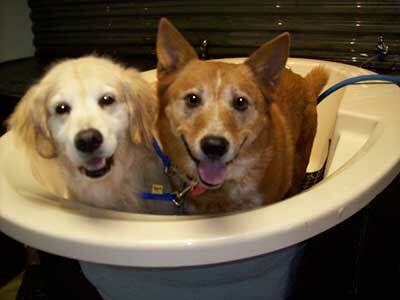 The raised circular tubs are unique to Muddy Paws Bath House and make it so much easier to bathe a dog. No need to move the dog around to wash all sides. The owner simply moves around the tub! Price varies by breed, temperament of dog, size & condition of coat. 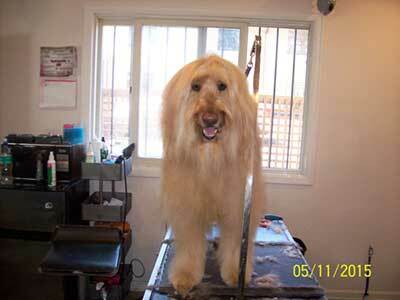 Full Grooming: includes hair cut/style, bath, nail clipping, blow dry, and gland expression. Brush and Bath: includes bath, blow dry, brush, nail clipping, and ear cleaning. Walk-in Nail Clipping and Gland Expression. 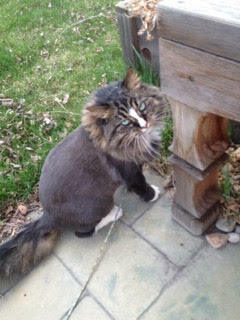 Furmination: this is a deshedding treatment that extracts loose hair and undercoat from your cat or doggie. Choose from an assortment of botanical soap-less shampoos. Dry your dog with variable speed dryers; from very quiet to high-powered. Aprons, brushes, sham-wows, towels, treats and assistance provided. Nail trim or gland expression with the purchase of a self-serve wash is $2.00 off. Be sure and request a loyalty card, kept at the shop. After 10 washes the next one is on us. Did we mention we also do cats?